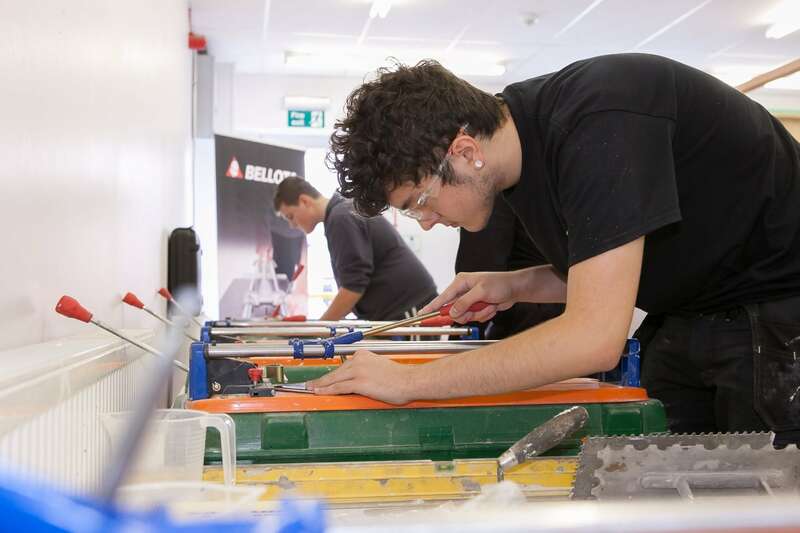 Dunlop has kicked off its Multi-Skill Champion Competition to find the best multi-skill construction student in the UK with a series of regional college heats. 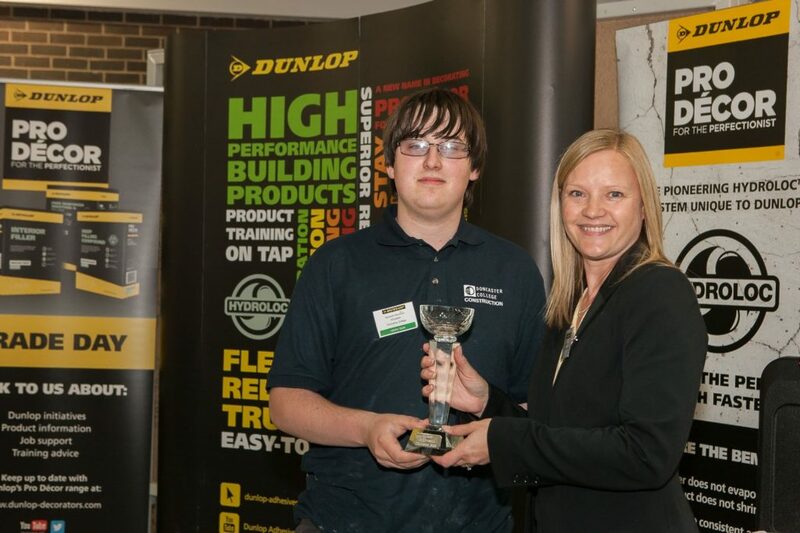 Supported by NoMorePly ®, the Dunlop Multi-Skill Champion Competition is the only one of its kind in the UK to recognise students across the UK taking the City & Guilds Construction Skills (6219) qualification. The competition culminates in the Grand Final in June with students being tested on their tiling and decorating skills. As an added element this year, finalists will also be tested on their carpentry and joinery skills – a core element of the qualification. Over the coming months Dunlop Technical Support Manager Gareth Birks, aka Dunlopman, the company’s team of Product Support Technicians, and representatives from NoMorePly will be touring construction colleges across the UK to provide free training and present a trophy to the individual nominated by the college to compete in the Grand Final. Judges at the Grand Final this year include Dave Rowley, lead judge for the national SkillBuild finals for wall and floor tiling and Training Manager at Dunlop, Wayne de Wet, professional decorator & renowned industry expert and.Nicola Butcher, aka “The Female Chippy”, a multi-award winning carpenter. Debi Boulton, Sales and Marketing Manager, said: “Last year’s competition was a phenomenal success with eighteen students aged from 14 to 40 from colleges across the UK taking part in our Grand Final. As a leading manufacturer for the trade and key training partner for colleges, Dunlop will support each college who enter students into the competition by providing free training product and learning materials.